The YuXin Blue 4x4 is the newest 4x4 to be released by YuXin and is expected to be a major competitor to the AoSu. It features many improvements over the older YuXin 4x4 that will help improve corner cutting as well as turning. We are expecting to be able to receive the cube by June 3rd. I like this cube but it pops a lot. Very good with a little breaking in. This is a really nice 4x4. Turning is fast and it has a great feel. ThunderClap springs definitely help. It is also a bite unstable, but magnets help significantly. Love this cube. I'm no speed cuber but this is a super smooth cube with minimal to no lockups and certainly no pops for me. Already shattering my PBs with this. Yuxin cubes rule! This Cube is amazing! But, The downside is that it does lockup a bit... I still recommend this to cubers! It Beat my aosu It Pretty Good! Mentos Cubing said: This thing is great! This is definitely worth the price. I think that it is my main over my CangFeng. It is smooth and corner cuts well. It is not as fast as my CangFeng but I have not loosened it yet. Overall I love this. This cube is quite slow out of the box, and becomes slower after breaking it in. A solution to this is swapping the springs with Thunderclap springs. Now the cube is fast and slightly unstable, and is my main. This cube is not as smooth as the Yuxin 5x5 but after some lube it is really sweet. This 4x4 is amazing out of the box!!! I did a couple hundred solves on it. I put maru in mine because it was very dry. The size is smaller than a normal 4x4. Over all this cube is my main! it becomes like a faster Yuxin 5x5. It has a airy and sandy/smooth feel. It corner cuts about a piece and a quarter and about half a piece reverse. It's my main over my broken in Gaunsu. I recommend this to any one who wants to be serious about 4x4. 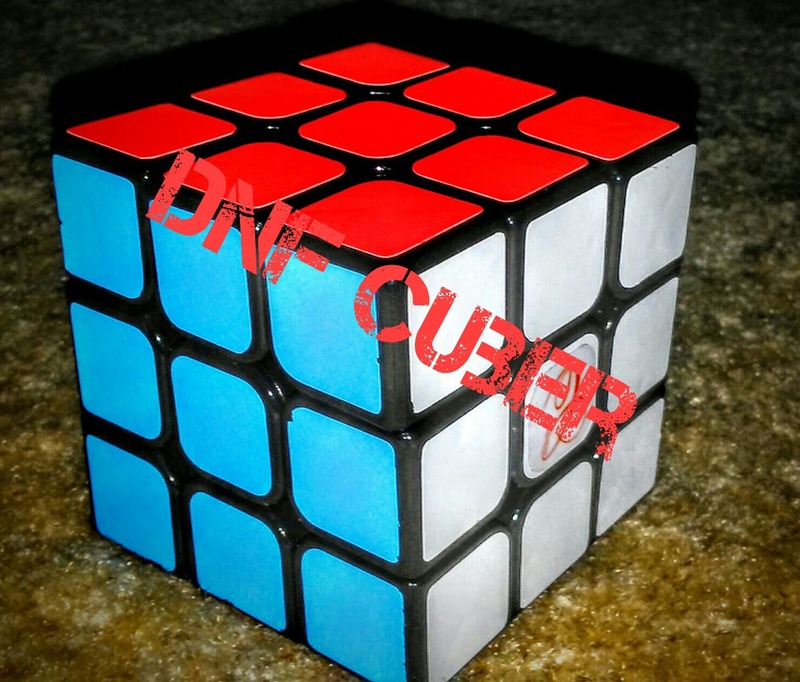 The Yuxin Blue is one of the best 4x4's I have seen. Messing around with the cube, it felt like a fangshi but better. The corner cutting great, and the cube is light and airy. Personally, I would recommend this cube to every speedcuber. Marcus Martin said: My new main 4x4!! Out of the box, this cube was pretty slow, too slow for me. I set this up the way I normally do for 4x4s, and it didn't get any faster. I assume that putting a bunch of Traxxas 50k in this and breaking it in like Chris Olson does with his cubes would work, but a LOT of solves would be needed, as this cube is already slow out of the box. In my experience, cleaning out the cube completely and putting a little light lube on the rings and Maru on the pieces works best. Doing this, the cube still needed to be on pretty loose tensions to be at a decent speed. The downside to this, however, is that the cube will pop if you're too rough with it. That being said, the only alternative is to have the cube at tighter tensions with slow turning, which is much worse in my opinion. it popped. the aosu doesn't pop. otherwise, great cube! I have done around 100 solves in this cube, and it has gotten significantly better. If you like other yuxin puzzles such as their 5x5x5 and 6x6x6 this cube has that same feeling. My cube has been lubed with 30k lube and after 60-70 solves it got a lot better and I now get what i would on my YJ Guansu. This 4x4x4 has the size of 60mm which I quite like, and it's a lot better than the mini moyu aosu. I have not played with the tension yet since it performed well out of the box. I have not had any major lock-ups or explosions/pops on this cube yet. This cube has a lot of potential if you are patient with it and like the smaller size. Would recommend to anyone looking for a 4x4x4 to replace mini moyu aosu. Out of the box, it had a nice swishy feeling like the 5x5, but it was very sluggish. And what's really weird is that there's one side that's the most sluggish, and if you tighten it, it's very difficult to move. So I recommend that you keep it on fairly loose tensions. I've gotten one edge pop and one internal pop, but that was when I wasn't used to the tensions. It needs some lube and a lot of breaking in to perform well. Overall, it is now my main 4x4. And I recommend this cube to people who know how to set up a 4x4 very well, and to people who will take the time to work with it a lot until it is at its best performance. Overall, I'd give this cube a solid A. It doesn't get the + because it just takes a lot of time to break in.